Makes life easier on the course excellent. Needs heated handles. 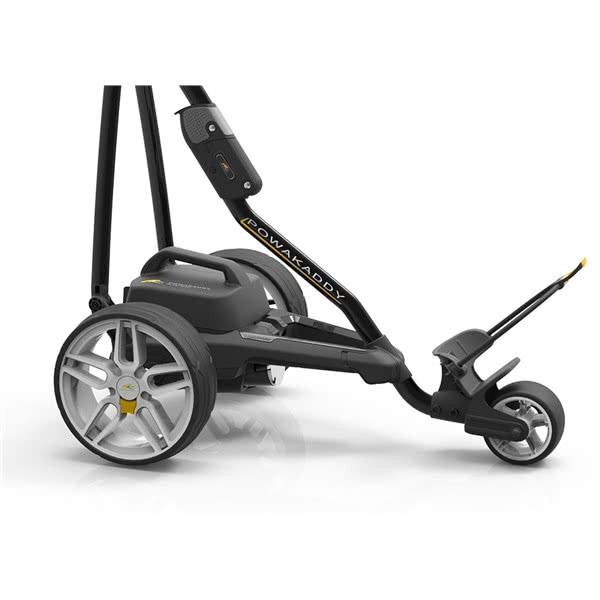 The Powakaddy FW3s Electric Trolley with Lead Acid Battery has been built using a more efficient, quiet motor that will power you around the toughest of courses. 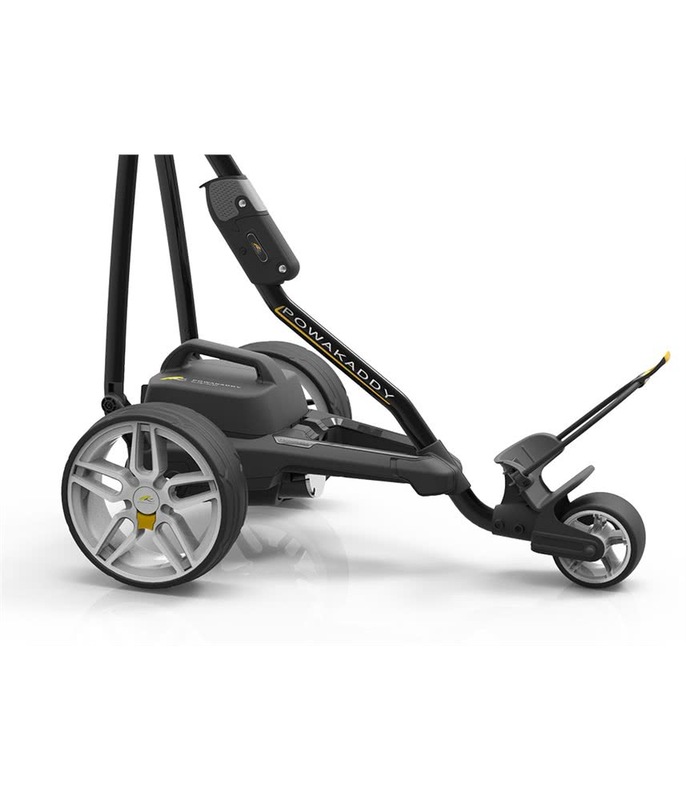 Powakaddy have used their excellent Whisper Quiet motor. 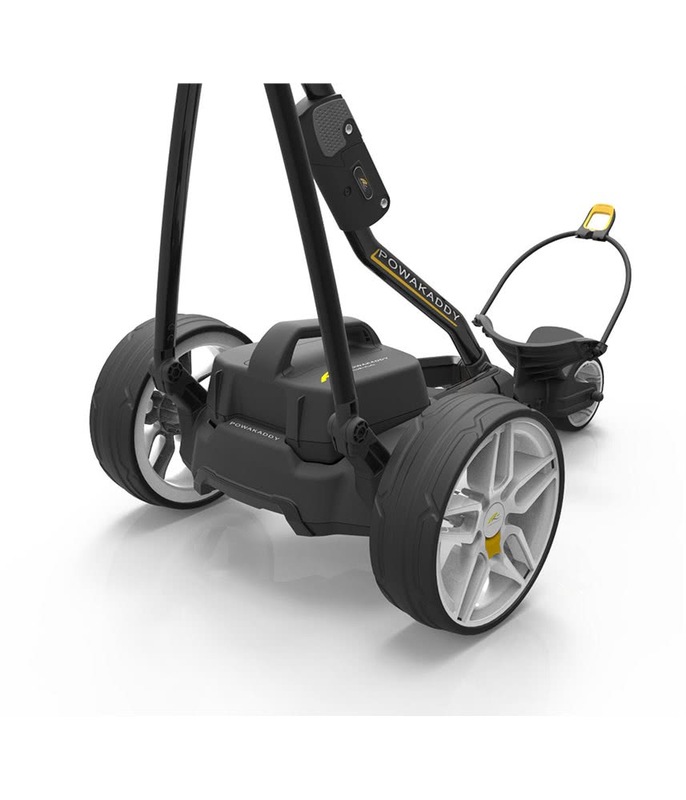 The previous FW3i has a 200 watt output whereas the FW3s features a powerful 230 watt motor. An all new 2.3” widescreen colour display provides a clear, sharp screen for easy viewing even in the sunlight. On the new display there is a battery fuel indicator, speed indicator and power on/off LED indicator as well as a power, pause and resume function. The FW3s has a three-fold mechanism that goes up and down in seconds with effortless ease. The low profile sports wheels and tyres look super stylish. 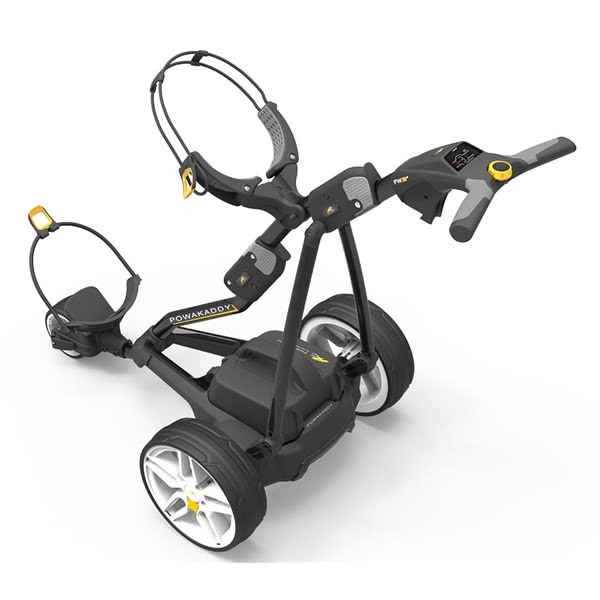 To secure the golf bag in place the trolley features a key lock technology that will prevent your bag from twisting. Powakaddy have continued to use the popular and unique Plug ‘n’ Play battery system that allows the battery to drop into place rather than fiddle around with wires and connectors. 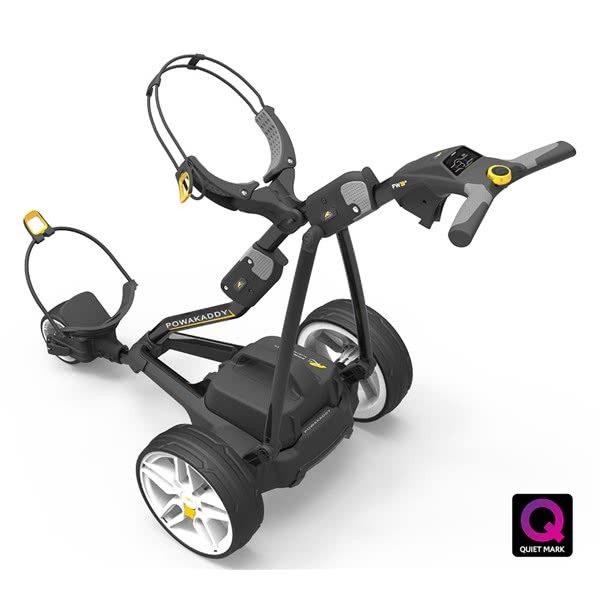 PowaKaddy is proud to partner with Quiet Mark. 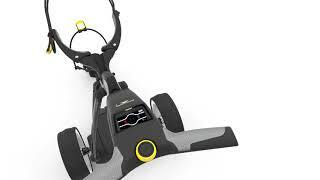 Most golfers consider sound an important factor when playing a round of golf. 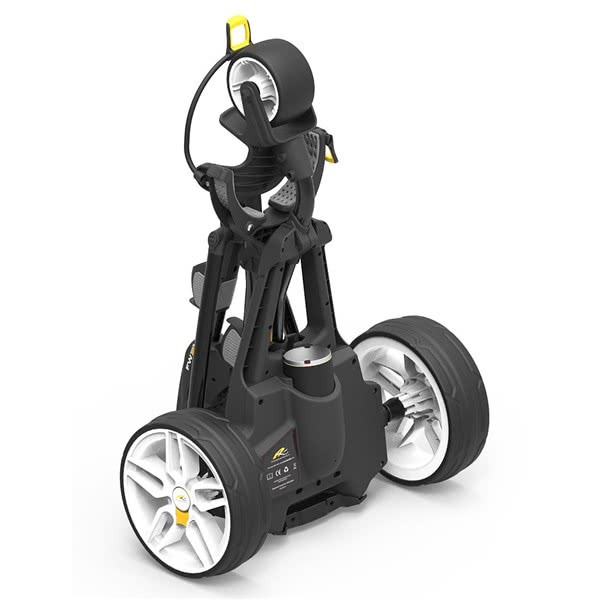 When you’re on the golf course you want to be able to concentrate fully on your next shot and noisy electric trolleys can sometimes be disturbing to your game. So what is the Quiet Mark? The Quiet Mark is an international stamp of approval recognising technology that has been designed to reduce noise. It’s been developed in response to public health concerns over the psychophysiological effects of excessive or invasive sound produced by modern household tools and appliances. 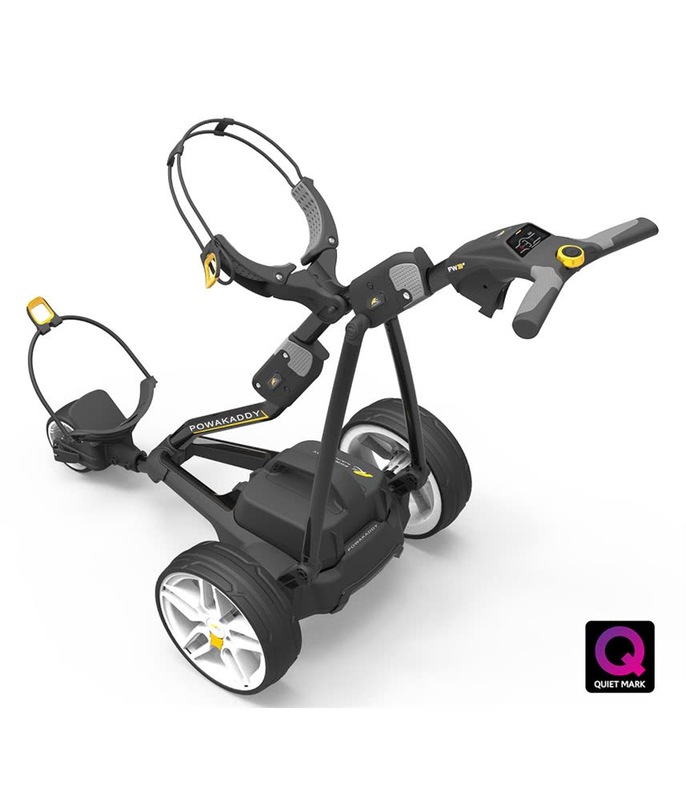 PowaKaddy electric trolleys are the first electric trolleys to receive the Quiet Mark accreditation. 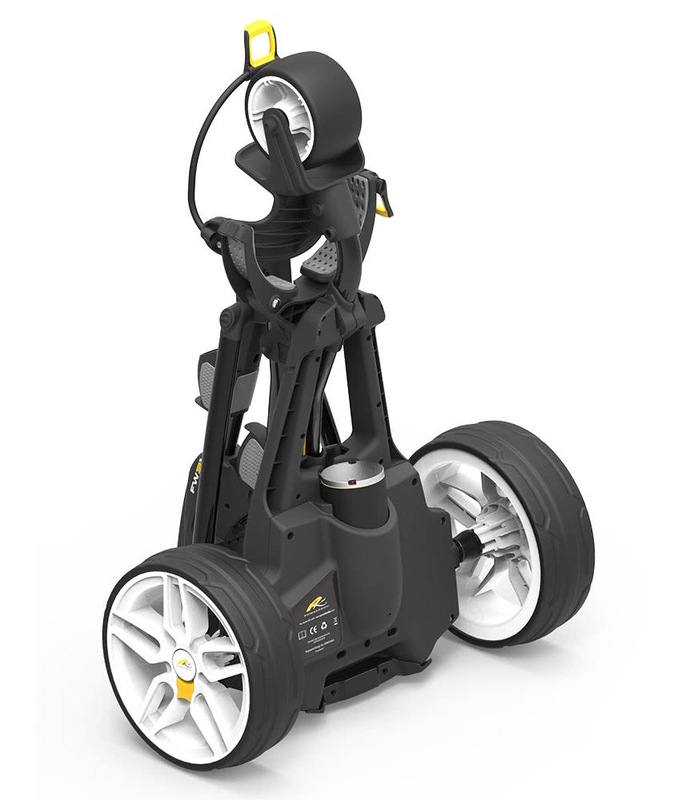 PowaKaddy electric trolleys use the latest design, engineering and manufacturing techniques. The streamlined Powaframe® houses a powerful motor and highly efficient drive-train that makes them whisper quiet. Each model was tested by an expert acoustics team. By validating noise test reports supplied to the Noise Abatement Society, Quiet Mark was able to verify their performances and make the necessary comparisons with other models on the market. 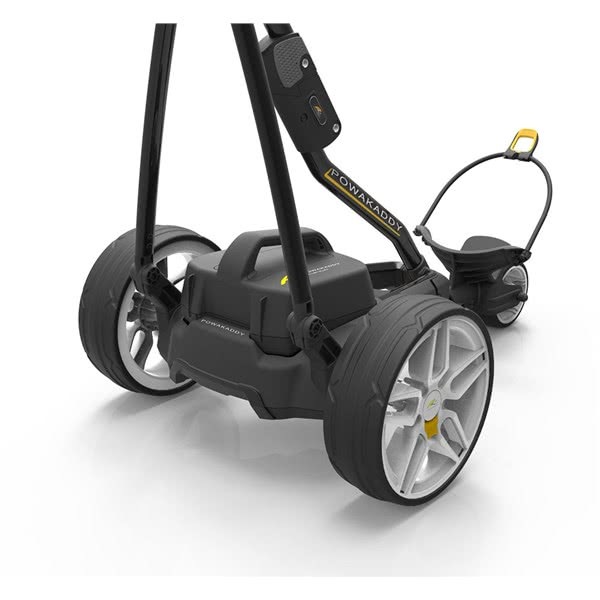 That is why all PowaKaddy electric trolleys have been awarded the Quiet Mark’s seal of approval. Power, Pause and Resume Function Pull off at the same speed you stopped at. Please note: All electric trolleys purchased from golfonline.co.uk willbe supplied with UK compatibale plugs. If you are buying from outside UK, you will require an adaptor. The manufacturer's warranty covers purchases within the UK and Ireland only. 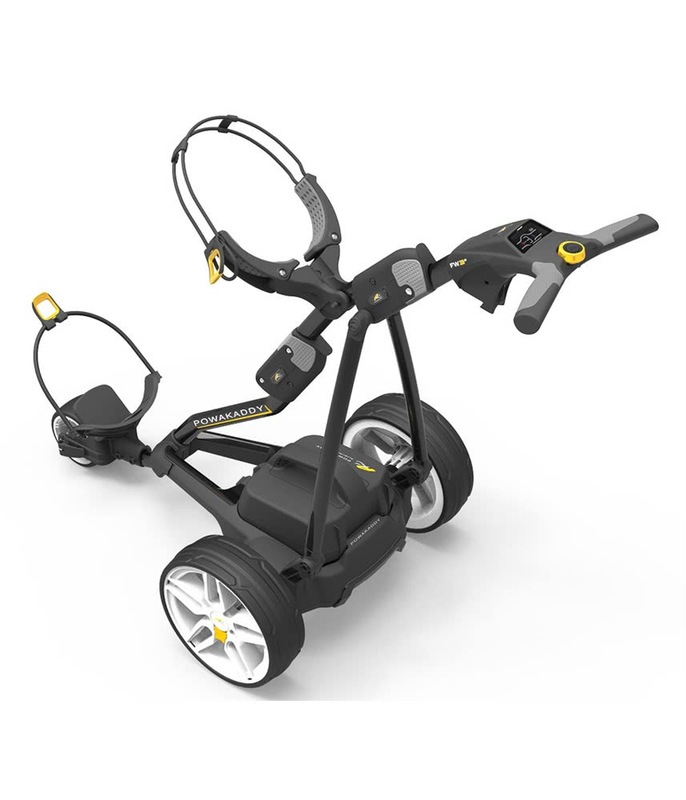 Customers who purchase this trolley from outside the UK & Ireland will not be covered for warranty in their country. They will need to return the trolley back to us in to the UK for repairs & services at their cost. The trolley and charger are covered by a 24 month warranty from the date of purchase. The warranty covers manufacturing defects that occur during normal use. Any breakage caused by accidental damage or as a result of abuse or misuse (as set out in the relevant manual) or commercial use is not covered. Powakaddy batteries are covered by a separate warranty (12 month lead acid / 60 month lithium) and can be registered using the "Battery Warranty Card" or online using our warranty registration form.